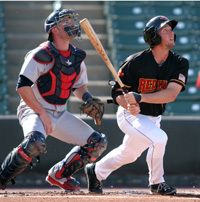 Proper timing is CRITICAL for generating max power in a baseball swing. And it’s probably the biggest part of the baseball swing I wish I understood better earlier in my career. This post explains why Timing is critical, and the video below demonstrates the drills. Warren Spahn is one of the most winning pitchers in history, and his entire pitching strategy was based on disrupting the hitter’s timing. I’m sure you’ve heard his famous quote “Hitting is timing, and Pitching is disrupting timing.” That should tell you something about the importance of it. 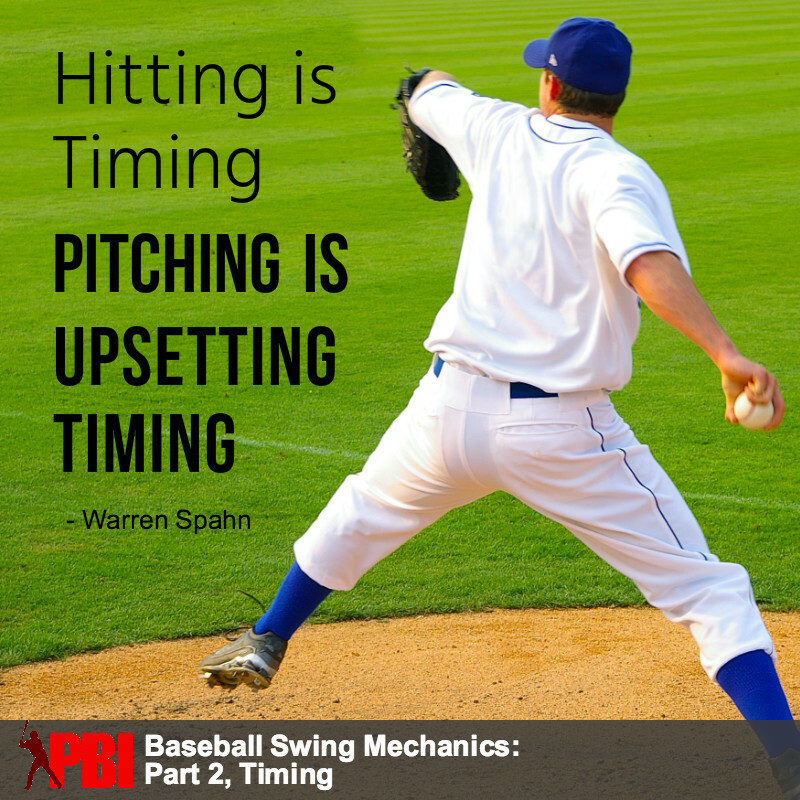 Timing WILL create cascade effect through a baseball swing – either for good or for bad. Obviously, timing is important for making contact, but now let’s focus on the power aspect for a moment. To summarize, proper timing is critical for having a relaxed swing, and relaxation is critical for having a powerful baseball swing. It may seem counter-intuitive to think relaxation = power. The truth is, tense muscles are slow muscles. So tensing up means slower reaction time and slower muscle movement. Physicist Robert Adair said that muscle strength alone was only capable of generating 1 horsepower per 10 lbs, but an elite baseball swing generates 9 horsepower of energy to the bat on average (source). That means that muscle strength is only responsible for a small portion of the power exerted on the baseball. So where does the other 8 horsepower come from? According to Adair, it comes from translational and rotational kinetic energy that the hitter builds up early in the swing. So basically, a hitter is actually using speed and efficient movement in the proper sequence to generate max power. Being tight and tense slows everything down tremendously. It also makes it more difficult to complete all the elements of the baseball swing in proper sequence, and in a fluid motion that can most efficiently generate max bat speed and still allow you to successfully make contact. A quick overview of the baseball swing… you have a few sequences that need to finish so the next one can start – to create an efficient, “A” swing. Too often, the hitter sees the pitch and tries to react last minute. There’s nothing fluid about the motion, so it ends causing a LOT of problems in the swing… too much head movement so you can’t see the baseball properly, tense muscles, things happen out of sequence, or a sequence doesn’t have time to fully engage… It’s just trouble trouble trouble. 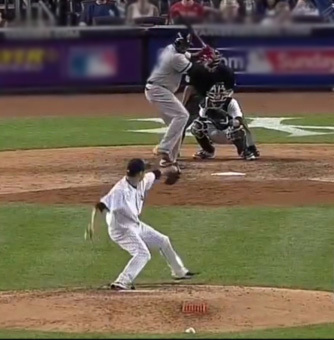 The hitter’s leg kick is at it’s highest point and starts the forward momentum at the exact same time the pitcher’s arm starts to come forward. 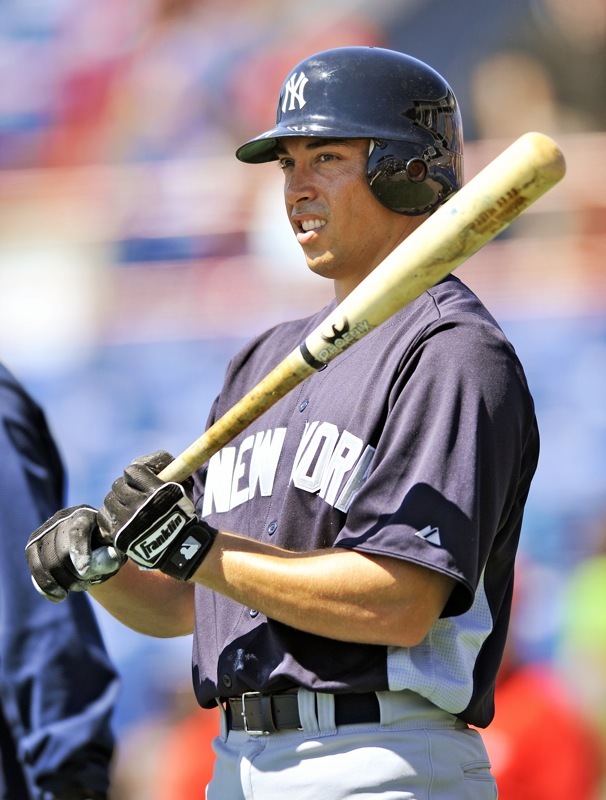 (This timing would be different for hitters with a shorter swing.) This image is for educational purposes only. So what we want to do is start our motion nice and early, so we don’t end up having to rush to get to the baseball. It’s always better to start early, having to be nice and slow and take our time as we see the ball, identify the pitch and make our move to the baseball. Now let’s get practical. What does it actually look like to “start early” ? The hitter should start the positive move of the stride when the pitchers arm is starting its move forward to throw the ball. This timing is dictated by the length and type of stride but this is a good starting point. This means if there is a leg lift, toe tap, slight weight shift, this needs to be completed BEFORE the pitchers arm starts forward. Why it helps: This is a simple hitting drill that just slows everything down and helps with developing body awareness during the stride. It forces you to be aware of your motion and to slow it down, so you can focus on developing rhythm and a smooth motion that’s not rushed or out-of-control. Set it on the ground ahead of your front foot. Hit the baseball taking while striding around the water bottle and without knocking it. You’ll have to be aware of what your front foot is doing and smoothly move it around the object when you take your stride. 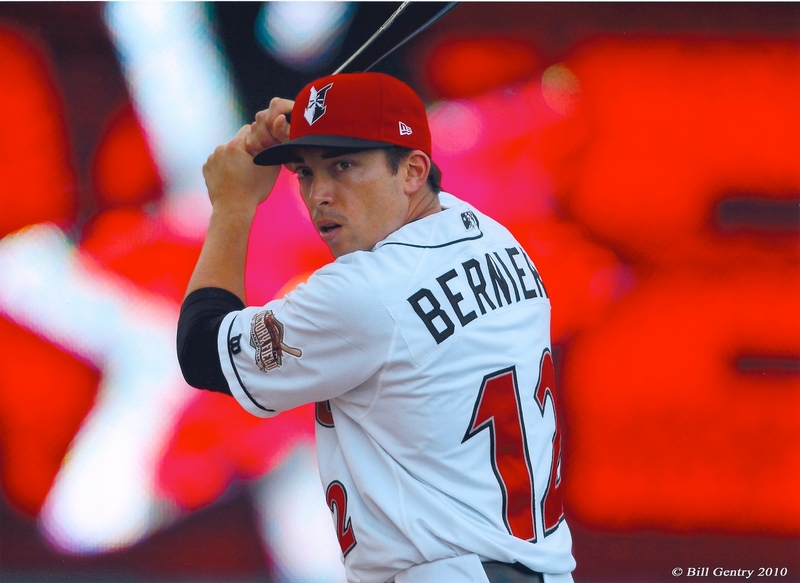 Pro Tip – You can learn a lot about your stride by how you take a pitch. Is your motion still smooth or are you off-balance, falling over? 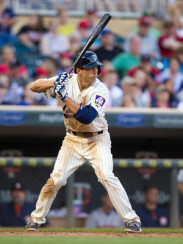 The best hitters in the game look very smooth and easy regardless of whether they swing at the pitch or not. Good timing dictates that you start moving before you know if you’re going to swing. So the key is to perfect your movement to where it doesn’t interfere with your ability to (1) See the baseball, and (2) Make adjustments for location, velocity, etc. This is why slow, smooth and balanced SO IMPORTANT in elite baseball swing mechanics. This drill is very simple, but powerful. It gives the hitter an actual, physical cue to time his movements. This is not meant to be an absolute at game time (A few big leaguers actually hit this way). Rather, it’s a starting point. 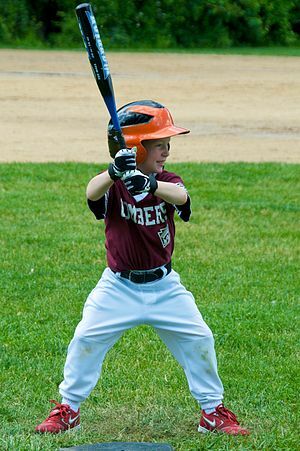 Get the hitter used to starting early, and then make adjustments to fit the individual swing. For example, a hitter with a big leg-kick will start earlier than the next guy who just taps and swings. 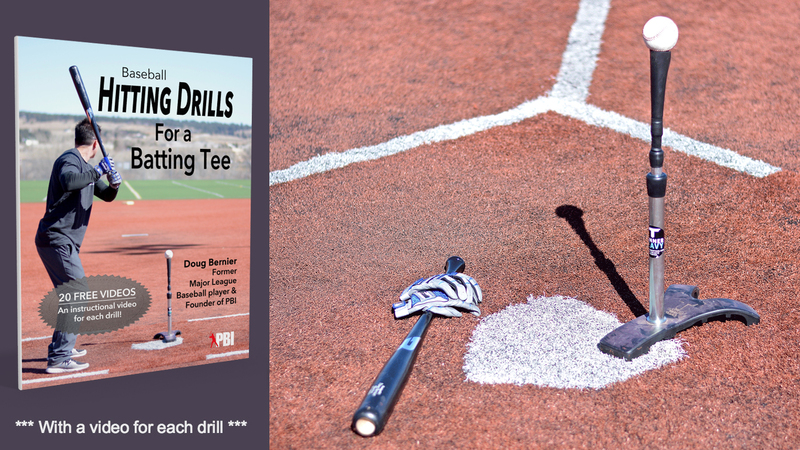 This drill needs to be done in batting practice. When the pitcher comes set, loads, and shows you his back pocket – that’s when you show him your back pocket. Your load mirrors the pitcher’s load. Get the feel for starting early, then make adjustments to fit your own individual swing (See the “Rule of Thumb” above). Pro tip: Speaking from experience here, watch out for the double tap. Sometimes hitters try to force themselves to start their motion early and then they end up picking up their foot twice… and that completely defeats the purpose of starting early. It takes time to get comfortable with a smooth stride that isn’t rushed. Also, don’t forget to subscribe to emails so you don’t miss the next videos in this series. See you next time. Very good article and video. Exact same things I have taught on timing for years, but nice to have it come from someone further up the food chain in baseball so that makes the same statement valid lol!! The information you provide through the drills an your website is fantastic. There aren’t many I recommend, but I do so with your site. Please continue keeping up the great job you are doing and best of luck in the future. Great article, Doug. Just an FYI I think you meant Robert Adair, but have Adams there instead. Clint, thanks and you’re 100% right. Thanks for lookin out.